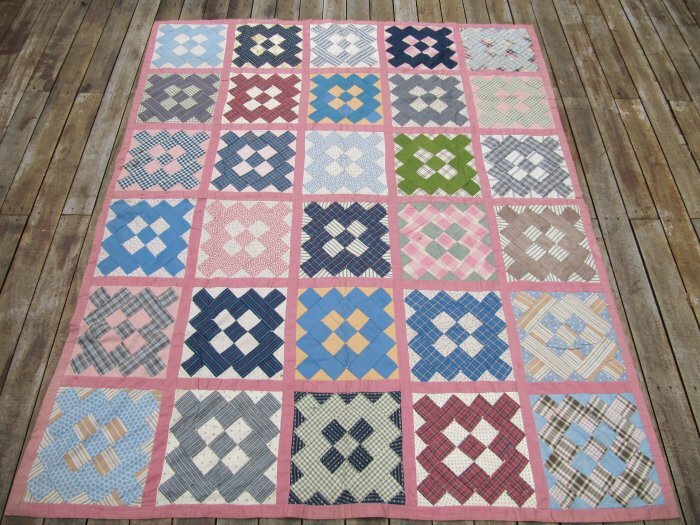 This pretty handmade quilt was made in the 1920s. A lovely item for any home to be enjoyed for years to come. CONDITION: Has some stains and spots in areas, mainly on the backing. It is an antique, and, as such, should not be put in a washing machine. Item would best be cleaned, if desired, by a proficient antique textile cleaner. Quilt is in excellent structural condition for its age.